Whoever it was, this was the right call! This stuff (Belden 1872A - riser- and Belden 1874A - plenum) blew away other cables, and still does in many ways almost twenty years later. I started to talk in public about using this kind of unshielded twisted pair (UTP) cable to run non-data applications such as analog and digital audio. At first, I saw lots of heads going back and fourth ("No!") in my audience. But now, running audio on Category 5e or better is old news and many are doing it. The first real breakthrough for me was Dr. Fred Bashour, who recorded classical music in the field. I sent him some MediaTwist. He was amazed, and never looked back. Now I could start to tell you WHY it is so great, so low in noise pick-up, so rugged, how it eliminates ground loops (well, it doesn't have a shield or drain wire). But forget all that. Below is a picture of Watson Wu. He specializes in film sound and sound effects. Here he is recording in the field. You will note the shotgun shells on his vest and the ammunition and serious weaponry on the table. We're talking real dynamic range here! In between all those microphone cables behind him are strange little boxes. Here they are close up: You'll notice that for every four microphone cables, there is a fifth cable in the middle. And what is that cable? A Category 5e or 6 cable! Those four microphone signals are carried by the four pairs inside the data cables. These little boxes are called InstaSnake and made by a company called ETS in Fremont, California. ( These are clever boxes. If you hook them up with UTP, unshielded twisted pair Category 5e or 6, they work just fine but there is no ground connection. For self-powered or dynamic microphones this is just fine. Of course, the noise rejection comes from the fact these are twisted pairs that are differentially-driven balanced lines, with the best balance (CMRR) ever created in a twisted pair. And the best data cable for rejecting noise, among all the data cables, is the one with the "deepest" CMRR. That would be one of our Bonded-Pair cables such as Belden 1700A (DataTwist 350) or Belden 1872A (MediaTwist). There are many more Belden Bonded-Pair cables than just those, you can find them at www.belden.com. The real breakthrough for the InstaSnake was the first Obama Inauguration. These boxes were all over the place and a lot of the audio you heard that day was going through Category 5e or Cat 6 cables. And, in a pinch, you can use the same Category 5e or 6 cable to run data! (That's a joke.) So, if you're an audio designer or installer, consider data cable for your next "problem install", especially the Belden Bonded-Pair varieties. What this stuff can do might just amaze you. No shield, no drain wire, no ground means no ground loops, a major source of noise and interference in audio. And since we're using Bonded-Pairs, that can't separate and move around, they are almost immune to impact noise ("triboelectric" noise or capacitive noise) which can be a problem for cables in the fields being walked on or rolled over. If you have phantom-powered condenser microphones, then you have to have a ground. It's part of the delivery system of phantom power. So just change to a shielded Category 5e such as Belden 1212F or shielded Category 6 such as Belden 2412F.The RJ-45 connector on the InstaSnake is also shielded, and these shields are connected to all the "Pin 1's" in each XLR. Of course, then you are back in "ground loop" territory, so be careful about the grounds at each end of your run. They need to be at the same potential to be effective at noise reduction. ETS also makes a version of InstaSnake which sacrifices one pair out of the four inside a Category 5e or UTP as the ground connection. No shield then, just a ground connection for phantom power and other systems that absolutely require a ground connection to work. You get three channels of audio plus one pair as a ground. So, surprisingly, you could still use our UTP cables for phantom power. If you look closely at the photo, you will see these are not just garden-variety RJ-45 connections on the InstaSnake, but Neutrik "Ethercon". That means you can use a rugged data cable, such as Belden 1305A (Category 5e). Again, Bonded-Pairs, but with a double jacket. 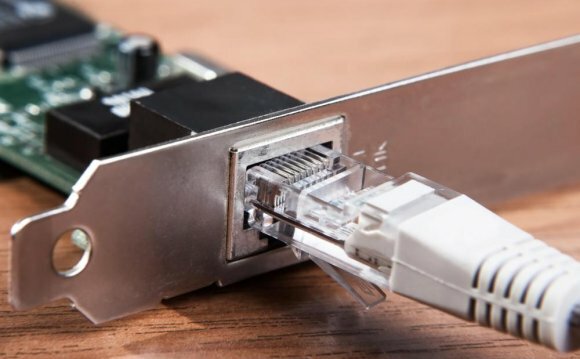 The inner jacket connects to the RJ-45, the outer jacket to the Ethercon shell, so any strain on the outside of the cable is not transferred to the inside. Pretty neat! There's even a cloth layer between the two jackets to make SURE they slide. It is so flexible, you would swear it is microphone cable. Flexible and rugged are very rare to see in the same cable. Belden 1305A is still UTP (unshielded) and lots of people worry about the crosstalk between pairs, especially at mic level (-50 dBm, -60 dBm). In fact, a really bad data cable consistently shows -100 dB of noise or crosstalk rejection at audio frequencies. For a cable like MediaTwist, we CAN'T READ the crosstalk rejection on our $60, 000 Agilent (H-P) network analyzers. It's below the analyzer noise floor (-110 dB) at audio frequencies!